If you are using Lightroom for your digital infrared photography, you did probably already realize that you cannot create the infrared blue sky effect using only Lightroom tools. The most widely published method is this: you export your image to Photoshop and then use the channel mixer to swap the blue and red channels. 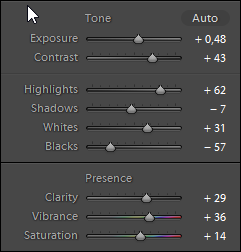 Unfortunately, there is no equivalent to the channel mixer in Lightroom. For those of us not using Photoshop, I recently discovered some other ways to achieve the same effect. So, what are your options? Jason Odell (one of the Nikonian Image Doctors) published a blog entry explaining various ways to create the blue sky effect. Of course Photoshop is mentioned, but you will also find guides for Photoshop Elements, Nik Viveza 2 (part of the Nik collection) and Nikon Capture NX2. Now that the Nik collection is available for free, the easiest way to achieve the infrared blue sky effect is to use Viveza 2, one of the Nik collection modules. Just follow this link to the Nik collection page, download your free copy and start using Viveza 2. 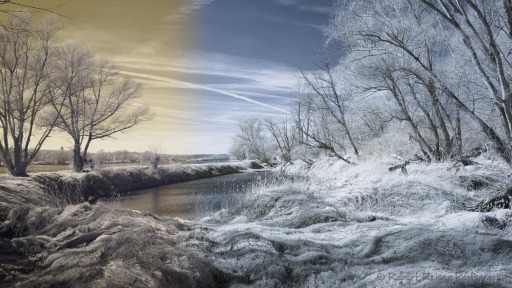 Please note that if you want to achieve the infrared blue sky effect, the sky in your picture should be yellow, orange or brown, like in the example above. Otherwise, the next step will not lead to the desired result. What if the sky does not want to turn blue? A reader left a comment to this post where she mentioned that the above approach does not work for her. She just couldn’t get the sky turn blue, no matter what she tried. Shes used a Micro Four Thirds camera with a permanent 720nm conversion, actually perfect for IR photography. We exchanged a couple of emails and with her permission (Thank you Bonnie!) I would like to explain the findings and the solution. 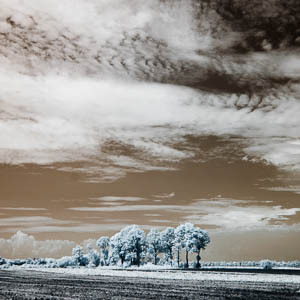 In conclusion – even if the original image is not promising, there are still some tweaks we can add to create a beautiful infrared image with a blue sky. The only other ways I am aware of is either using the channel mixer in Gimp or using command line tools like ImageMagick. This blog entry by Chris McClanahan describes both methods. So, just download the ready-to use plugins from that page if you have the required tools installed. Reader Jacob mentioned in a comment to a different post that you can download Lightroom profiles with a built-in red and blue channel swap. Unfortunately this approach does not consider the infrared white balance limitations of Lightroom, so your options are still limited. 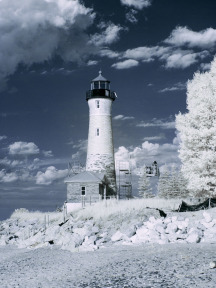 Are you aware of additional ways to achieve the infrared blue-sky effect? If yes, I would appreciate if you leave a comment below, so I can update this article for the benefit of other readers. Thank you Barry, your comment is very much appreciated. I am glad you found the article helpful. Cheers! All links to Viveza 2 are going to Error dead ends. I did find it in [EDIT: name removed]. Has someone pulled the plug on this softwear? The Nik collection was sold to DxO, and they announced plans to develop it further. It is no longer freeware, but you can download a 30 day trial at https://nikcollection.dxo.com/. Here are two more sources for channel mixer capabilities for red/blue swap. Not free unfortunately. For about $12 you can add Elements Plus to the basic Elements program. Corel Paintshop Pro also works. Thank you Thomas! It is always good to know about additional alternatives. Thx the very Good Tipps. Everything Sounds good but im quite new in infrared fotography. Unfortunately it is impossible for me Zi achieve a blaue Sky. I have a nikon d750 and an hoya filter. So far so Good. Image Looks Good very red though. By Now i tried 5 different approaches which do not work in the end. Downloaded Everything viveza and Co but still. I have ps and lr but no Chance. 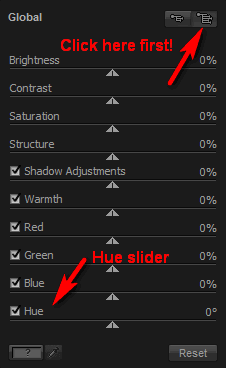 My Next try will be the 180° hue in viveza but i cant figure out what it is … thankful for any Help ? Hello Ann, thanks for leaving a comment. It is actually normal that Infrared pictures will show a very strong red cast after you import them into Lightroom. This is caused by a known white balance limitation in Lightroom. For how to work around this problem, please read my article How to Set Proper Infrared White Balance in Lightroom. This should get you started and after that, you should also be able to produce the Infrared Blue Sky effect as described above. Hello Matt, thank you for the comment! I have to say that I have not experienced the light blue cast you mentioned, or perhaps not to an extent where it would be noticeable to me. From what you describe, white balance does not seem to work, which I would have suggested to try out first. But I will gladly have a look at the issue, if you want. I have sent you an email to the address you left here – just send me the some JPEGs from before and after the conversion, I would like to see where the issue is. Hello Robert, I’m Alberto from Italy. I’m new to IR photography (I use 665nm filter on a Sony A7, Lightroom for PP) and I found your suggestions very useful. Currently I set a DNG profile in order to adjust white balance in Lightroom, and I’m really happy with results in BN images. I’m not so satisfied in false colors images, as I have to use Viveza2 and it seems to me that in the passage Lightroom-Viveza2-Lightroom a lot of noise and grain come up. If you use Viveza for just the 180° hue adjustment, this should not affect noise or grain. I have just tried it out and could not see any change in nose or grain (using my converted Olympus OM-D E-M5). Two things come to my mind: First, it could be the noise in the original blue channel (which you did cut off with your IR filter) that becomes more prominent in the red channel after the conversion. 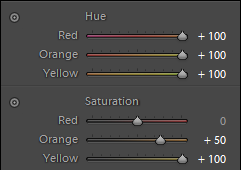 Second, which settings (color space and bit depth) do you use for the picture transfer between Lightroom and Viveza? If you don’t use the following settings already, try ProPhoto RGB and 16 bits. A narrow color space like sRGB or using only 8 bits will bring out noise in your pictures. Yes, for a while I did experiment with DNG profiles addressing both the white balance and the red-blue channel swap. In the comment section of my IR white balance post you will find a thread (link here) where exactly this topic is discussed – there are DNG profiles for channel swapping, but they don’t address the IR white balance issue. At some point I did abandon this idea because 1) I do not have enough knowledge about the structure of DNG profiles to modify them for channel swapping and 2) I do not always use channel swapping and when I do, I find using Viveza good enough for my purposes. I you have any updates on the topics above, please let us know here! OK, I’ll try with the color space you suggest. But, what about dpi? Viveza2 sets 240 by default and I suspect they are too few. Don’t worry about the dpi value. It is just a number stored in the file – used when you print it directly (not from within Lightroom) or insert it in other applications like Word, that’s all. It has no meaning for the transfer. No matter what I do I cannot get the sky to turn blue. I did all the steps. I used the DNG editor to slide the white balance temperature to -100. My foliage was nice and white but I also tried it at -78. saved both of these and in LR I applied my new camera profile. At this point my sky is not yellow or orange but I don’t see that tint in your example either. Anyway, after I apply a 180° hue shift in Viveza 2 there is still no blue sky. Any ideas what I could be doing wrong? Hi Bonnie – a very good question, thank you for asking. I will try my best to get this resolved. For that, I have sent you an email to the address you left here. Please have a look and we will take it from there. Thank you! I have replied to your email. Hi Robert, I’ve been using the traditional method of using Photoshop’s Channel Mixer for infrared photography but never got the results I’ve wanted. Your steps made it so much more simpler and easier. Definitely my default workflow to achieve that infrared image from now onwards. Thanks so much. Hello Derek, thank you for taking the time to leave a comment. I really appreciate the feedback and it is good to hear that the article was useful. Let me know if you are missing something! 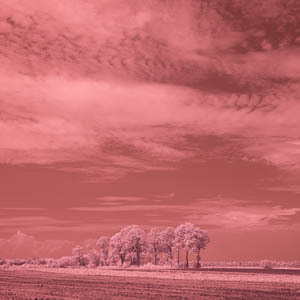 While searching for some “post-processing” sites for infrared imagery, I came across this one. I am glad I did, as it gave me a whole new way of looking at Viveza 2 and what I can do with it for my infrared imagery. It has now become one of my “go to” tools for processing my IR images. Thank you. I can hardly wait to see what some of the other Nik tools might do for my IR imagery, as I already use Silver Efex Pro to do B&W conversions. Ron – thank you for the comment. I am currently researching other tools that can potentially be useful for infrared photography and I plan to publish the findings in the near future.